Tony Stark is known as many things: billionaire, inventor, Avenger, but mainly for being the invincible Iron Man! People expect strength and pizzazz from him at all times and he’s not about to let them down. But when he heads to an international eco summit, he detects an anomaly off the coast of Ireland. Stark decides to investigate and that’s when the party really starts. 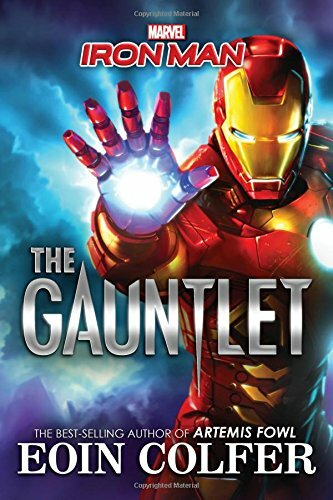 Find out how he tackles both inner and outer demons in this all-action adventure from Eoin Colfer, the best-selling author of Artemis Fowl. ’I’m a smart aleck, and the character is a smart aleck. 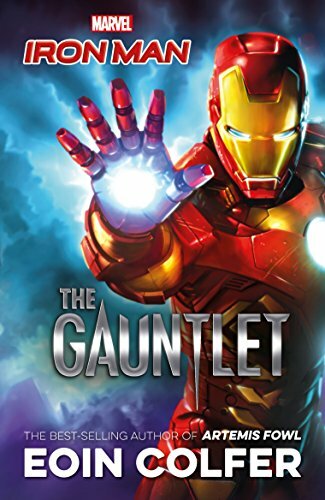 The Gauntlet is sure to capture the imagination of young Marvel readers everywhere. It’s a compelling Middle Grade adventure, perfect for ages 10 years and up. Eoin Colfer is an Irish author of children’s books. He was a primary school teacher before becoming a full-time writer. His Artemis Fowl books for children have sold over 21 million copies. Now he’s one of the critically-acclaimed authors working on a range of Marvel fiction adventures.